Frederick Patrick Farmer born 24/3/39. He passed away on 4/8/2013 at aged 74. Fred was known for his dedication to the sport of running. He held several positions on the committee such as president and vice also treasurer. He was given life membership in 1996. He did a lot of sports but running was he favourite as he achieved so much in the sport. He did 17 marathons with the best time of 2 hours 35 minutes and his worst time of 3 hours 11 minutes which was his first marathon. He would work out his training for his main runs and nothing would interrupt it. Fred was always a slow starter but after five kilometres into a race he would put the pressure on and he would stream a head. The longer the run the better he liked it. In 1982 we were on a trip around Australia we came across a group on the Nullarbor that was running across from Perth to Brisbane with a torch for the Commonwealth Games. They were having a few problems with the runners so Fred who was training for the Melbourne marathon took over and ran with it until other runners could be found. He did very well in the Melbourne marathon winning his age group and also lucky prize of a watch. He loved helping anyone with their running. Ian Javes wanted to run from Sydney to Melbourne and Fred was the first of the 10 people that was needed to volunteer. It took Ian 8 days to do the run. Fred was with him all the way. When the Masters games was in Brisbane Fred competed in the Marathon winning gold in his age. He was very honoured when he was asked to run with the Olympic torch in 2000 in Mackay. He raised money for Cancer by running from Mt Isa to Rockhampton with a group of other runners. Frank Marchetti was a well known local gentleman, scholar, teacher, diver, Reserve Army Officer and athlete. His involvement with Mackay Road Runners started in his late teens but only in a small and spasmodic capacity. Frank is a born and bred local who grew up in Walkerston (Scrubby) before moving into Mackay to complete his secondary schooling and ultimately his work commitments, as well as expanding into a diverse range of sporting and adventure activities. Frank loved challenging his personal boundaries, forever pushing himself beyond ordinary limitations, not always succeeding, but never giving up. His unique sharing, approachable and well respected personality constantly showcased his enthusiasm on many levels despite his abundantly overflowing schedule. Frank was always a keen runner with a very focused view on improving and bettering himself no matter what endeavour he chose. Due to his interests in an varied amount of activities, running was always a staple part of his life, complementing his overall physical and mental fitness. Frank was a regular at the midweek social 5km running events which have been held at the Bluewater Quay for several years and previously at varying locations throughout the City. Frank was one of the faster pacesetters at these events where he pitted himself against his speedier rivals as well as supporting other athletes in achieving their personal best time. Frank always liked to lead from the front, never afraid to have a go and test his own abilities against those who were better, faster, bigger than himself. One of those such occasions started several years ago at the Mackay Road Runners’ Mackay Marina Run Half Marathon event and then became a personal tradition. Each year on a cold first Sunday in June, Frank’s plan began where he would always line up at the start line in the front row with the local champion runners as well as the invited out-of-town athletes and ambassadors. Once the gun to start the race had sounded, Frank would sprint side by side with the potential podium placegetters in a bid to gain an insight into the amazing pace they set at the start which they also maintained throughout the 21.1km event. His main goal was to get to the first roundabout two hundred metres into the race in first position but to then also continue to finish the race at his own pace. Frank’s fluro green racing shirt was infamously expected at the start of every BMA Mackay Marina Run Half Marathon. As an avid runner and a pretty good one at that, Frank was under no illusions of his ability against the highly rated athletes in such an event. Frank was always cheerfully up for a chat with them as well as the myriad of other runners who competed alongside, ahead and behind him. Sadly, Frank passed away on an expedition with his Sherpa to Mt Everest where he was planning to summit the iconic peak. He was within two hundred and fifty metres of his ultimate goal before the mighty 8848 metre treacherous mountain took our beloved Frank. One of Frank’s absolute passions was to conquer the World’s highest mountain which had been a major focus of his since he was twelve years old. Frank had been travelling and acclimatising well but unfortunately fatally succumbed to severe altitude sickness. This was Frank’s fourth visit to the Mountain and his second attempt at the summit. Due to the location of where Frank passed, tragically, his family has been unable to bring him home, therefore, Frank now rests forever more on the North side of Mt Everest. 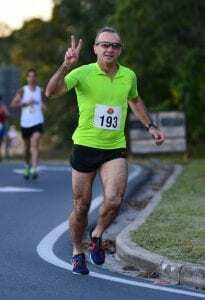 In a beautiful tribute to Frank which will ensure his 200 metre sprint in the Half Marathon lives on, Mackay Road Runners and the Mackay Marina Run have acknowledged his passing by way of an annual ”First to the Roundabout” trophy in his honour. The coveted trophy is very highly regarded and is an awesome tribute to his memory. If there was anybody who’s actions spoke louder than words, then Shawn Claydon would take the trophy….which he did on multiple occasions! Shawn was the epitome of letting his running performance and work ethic results do the talking. 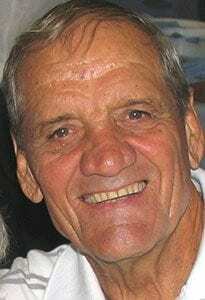 Shawn’s man of few words personality held an exceptionally passionate athlete in any of his chosen sports including rugby league, rugby union, short distance and endurance running. Shawn was Mackay Road Runners Club Treasurer for fifteen years until his passing and was awarded Life Membership in 2015. Shawn’s dedication to the Club was only one of his many special attributes that made him a well respected icon in local, state and international running circles. Shawn was a champion runner, champion friend and devoted family man. He was a running coach and mentor to many junior and senior athletes of varying abilities. He humbly enjoyed sharing his worldly knowledge and experiences gained from various out of town training camps and racing events including track, beach, hills, trails and road running sessions among his peers. Shawn had an amazing ability to push himself to the extreme with a strong belief in hard honest training and racing – no excuses and no shortcuts. Shawn’s running achievements allowed him to enjoy many highlights throughout his running career and everyday life, starting when he was a teenager until just before his 50th birthday. 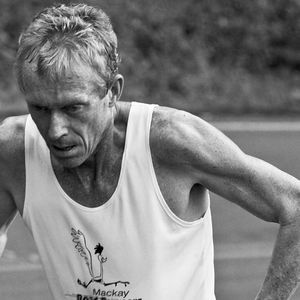 Shawn was a Mackay Road Runners Male Club Champion taking out the coveted award an impressive ten times from 2004 to 2015. He also won an incredible eight Eungella King of the Mountain titles as well as being on the podium multiple times in the minor medal placings. Among his many running successes, Shawn also represented Australia on many occasions including the Oceanic Games in Townsville, Samoa and Bendigo. Shawn incorporated his running whilst on holidays although maybe more correct to say, incorporated his holiday whilst running. He raced in America where he was one of 15,000 competitors in the one-miler down Fifth Avenue, following up with glowing performance in the New York Marathon, then courageously tackling the Vancouver and Toronto Half Marathons before heading home. Shawn’s travels also took him to London where he raced the London Marathon in 2014 and 2015. Shawn was a very proud local where he included the Mackay Marina Run Half Marathon as one of his favourite must do events, claiming gold on several occasions. Meanwhile, on Australian soil, Shawn continued his winning ways by taking gold in the 5000 metres at the Queensland Track championships at QEII Stadium in Brisbane in 2013 and a bronze in the 1500 metres. Shawn competed for several years at the Gold Coast Marathon where he was inducted into the Ten Year Half Marathon Club in 2010. In addition, but not limited to, Shawn’s massive list of competitions continued with high achievements in the World Masters Games, North Queensland Games, Melbourne Marathon, Sydney’s City2Surf and the Cadbury Marathon in Hobart. 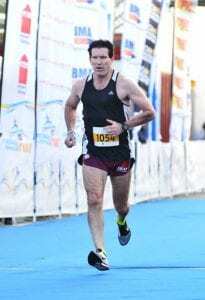 Shawn ran his last half marathon at Hobart’s Cadbury Marathon on 14th January, 2018, one month prior to receiving the devastating news that he had secondary cancer and by March was diagnosed with stage IV pancreatic cancer. Shawn was always a brave, determined and driven person and these characteristics proved vital in his battle with the deadly disease. Shawn’s fight for survival never wavered as he strived to win the most important race of his life. His tough physical and mental training learned from many years of never say die focused and dedicated training proved crucial as he faced his ultimate battle.